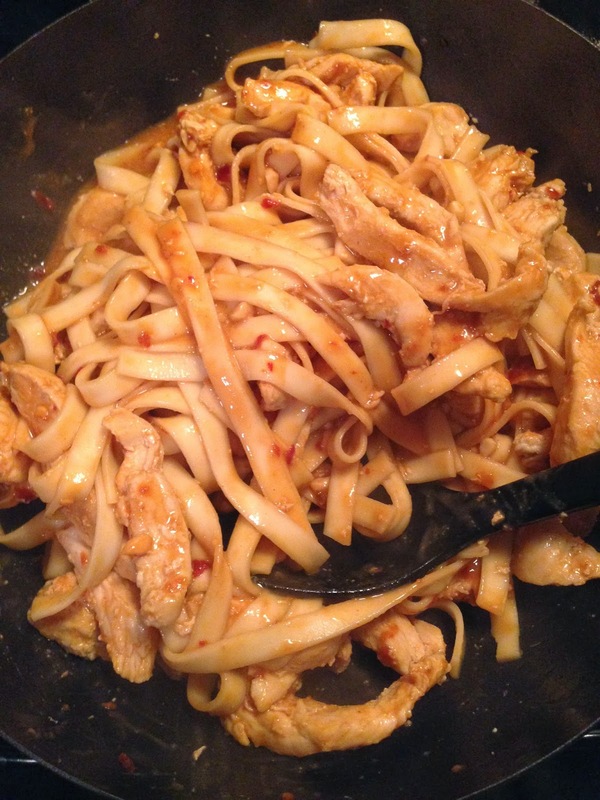 taylor made: peanutty chicken pad thai. Cold weather is officially here. It's dark at 5pm, I need my heavier jacket, and all I feel like wearing is leggings and boots. While I appreciate seasons and all, I am just not a winter girl. I love sun and shorts and HEAT! It's fine when it gets down to 50 or 60 degrees too, don't get me wrong... but below 40? Nope. Hibernation time. In fact, Ryan and I would both like to move south (South Carolina? Florida?) at some point in our future to escape the harsh winters. Okay, I know... winters aren't that harsh in Maryland and Virginia, but it gets pretty freakin' cold! But ah well, for now (and until I get that little old doctoral diploma), we're in Baltimore. Where we live right by the water so there's plenty of freezing gusty wind during the winters (not that we didn't get used to that in Blacksburg VA!). It's time to brave the year's worst months. Okay, not really -- the worst doesn't start until January. At least we have the holidays to look forward to! When it gets cold though, it's like a switch goes off in the food craving part of my brain -- all I want is warm, comforting food. Salad? No thanks! Anything cold at all, actually? Nah. Give me soup, casseroles, pot roast, pasta. A hot, cozy dinner on a cold night after a long day is unbeatable. Of course, we can't eat unlimited comfort food all winter -- while our bodies may be less visible under jackets and scarves, our health still works the same way! So my general mantra is still the 80/20 rule: eat healthy and [mostly] clean 80% of the time, and eat whatever you want (read: COMFORT FOOD) 20% of the time. For the 80%, it doesn't have to be boring, and there's still plenty of room for comfort food in there as well! 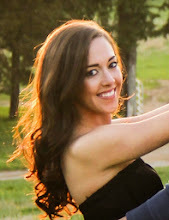 You probably already know that if you read my blog (e.g., see: southwest baked eggs; spicy cajun chicken noodle soup; crockpot honey sesame chicken, red wine beef and onions, and Indian butter chicken; 17 day diet turkey chili; light chicken sausage pasta bake; meatloaf with a spicy ketchup glaze). Plenty of healthy comfort food, and lots more to come! To kick things off for this cold-weather season, one of my all time favorite meals: pad thai! I looooove pad thai. If we go to a Thai restaurant, there's about an 85% chance that I'll order it (the 15% is for when I've already had it from there and want to try something new). I love it with shrimp, chicken, or vegetarian. The flavors are just so magical! The lime and cilantro paired with the warm noodles and the spicyness and crunchy peanuts -- it's one of the most comforting dishes to me. Perfect for these cold nights! Plus, it's ready in 20 minutes, start to finish! Can't beat that. This recipe is really focused on the sauce. I think I've perfected it (at least, for my tastes)! It's not exactly traditional -- more like a hybrid between pad thai sauce and peanut sauce. Everything else can be selected based on your tastes: choose a meat and a type of noodles and your toppings... anything paired with this sauce will be delicious! I went with non-traditional noodles (lo mein = Chinese not Thai!) because it's what I had, but you can go with the traditional rice noodles. Or, I've used whole wheat fettucine in the past... also delicious! Really feeling healthy? Go with spaghetti squash! As for your meat, I recommend chicken or shrimp, but it would also be delicious with tofu or meat-free. Toppings? I definitely love cilantro, lime, cabbage and chopped peanuts, but you can also add in some bean sprouts, scallions... whatever you want! Just use the sauce. It is DEEEE-lish. Heat 1 tbsp olive oil and 1 tbsp sesame oil over medium-high heat in a wok. 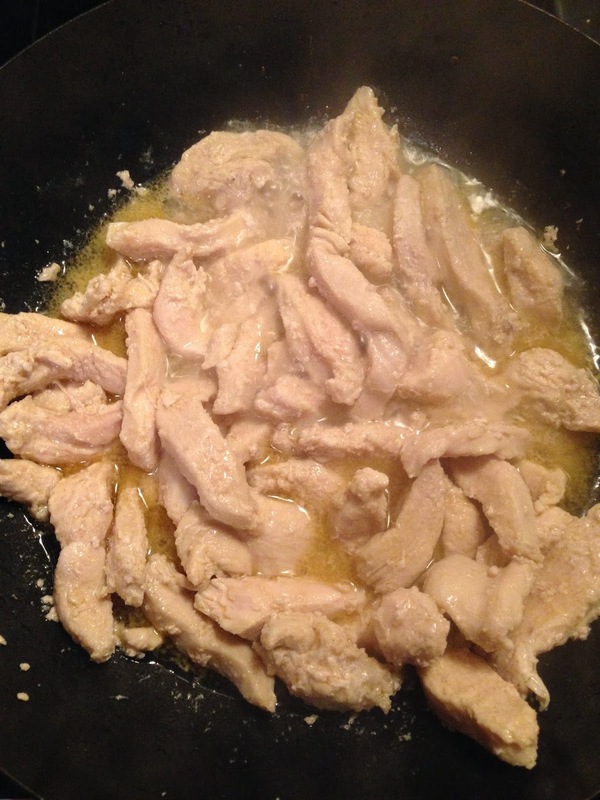 Add 3 or 4 chopped thin chicken breasts and heat until cooked through. Meanwhile, prepare your noodles according to package directions. Also, mix your ingredients for the sauce: 1/4 cup soy sauce, 1 tbsp sriracha, 1 tbsp chile garlic sauce, 1 tbsp honey, 2 tbsp natural peanut butter (creamy or crunchy - I used crunchy), and the juice of 1/2 a lime. Whisk until smooth. When the chicken is cooked through, drain the excess oil. Turn the heat to medium-low. Pour the cooked noodles and sauce into the wok and heat through. Plate the chicken and noodle combo, then top with chopped fresh cilantro, chopped cabbage, chopped peanuts, and a lime wedge. Perfection! That's it! -In a wok or large skillet, heat the olive and sesame oils over medium-high heat. Add the chicken and cook, tossing occasionally. -Meanwhile, prepare noodles according to package directions. 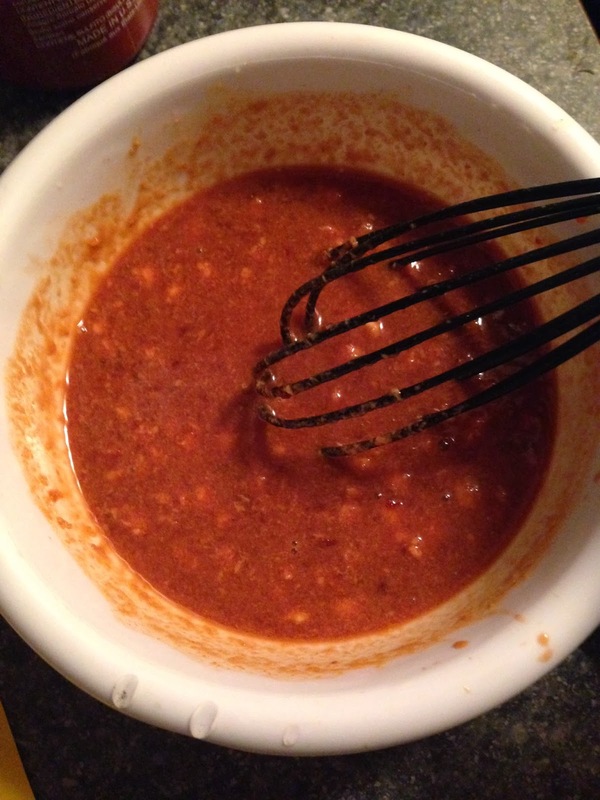 -Prepare sauce by whisking together all sauce ingredients. -When chicken is cooked through, drain excess oil and return wok to stove. Turn heat to medium low. Add cooked noodles and the sauce to the wok. Toss to combine and let heat through for a couple of minutes. When combined and heated, plate. -Top with chopped peanuts, cilantro, cabbage, and lime wedges. I am exactly the same way! The second the winter hits I'm like "all the carbs!!!" No salads. No thank you. But this is definitely a compromise between the foods I craving and the veggies I should be eating! thanks for the recipe, lovely! I am making this tonight (with spaghetti squash) but am not familiar with chile garlic sauce- can this be found at Trader Joes? yum, it will be so great with spaghetti squash -- I'm trying that next! this is the most commonly found chili garlic sauce that you can find at pretty much any regular grocery store: http://www.thekitchn.com/good-product-chili-garlic-sauc-112133. It looks like Trader Joe's has a sweet chili sauce that's probably pretty similar but I've never tried it: http://www.amazon.com/Trader-Joes-Sweet-Chili-Bottle/dp/B008189OQE. let me know how it turns out! Thanks for the tip- I found the chili garlic sauce! Also, it was AMAZING with spaghetti squash! Love your recipes! I just made this and it was SO good and easy too! I made it with brown rice noodles. Thanks so much for sharing the recipe. You are awesome! !